Richard was born in Oxford in 1157, the third son of Henry II and Eleanor of Aquitaine. He became King of England in July 1189 on the death of his father, with whom he’d been fighting, and not for the first time. He inherited an empire that stretched from the Scottish border across the English Channel to the Pyrenees and war and political treachery marked much of his reign. Within weeks of being crowned, Richard began preparations to go to the Holy Land. He’d answered the Pope’s call and taken the Cross two years earlier after the Battle of Hattin. Jerusalem had fallen to Saladin. Richard departed in March 1190 with King Philip of France, who, along with Leopold, Duke of Austria, would eventually turn against him. As a military leader and warrior, Richard had few, or no, equals. The strategies he employed on the march to Jerusalem likely kept thousands of his men alive. At one of the most famous battles of the Third Crusade – the Battle of Arsuf – historians estimate crusader deaths at 700, and Muslim deaths ten times that. Unfortunately, Richard’s military prowess didn’t allow him to lead his troops to victory in the Holy Land. The crusaders came within 12 miles of the gates of Jerusalem, but turned back. Had the Holy City been re-taken, how would they hold it? Most of the crusaders would return home. Who would hold the ports along the coast to ensure supplies could get through? To complicate matters, there were rumors that his brother John, Count of Mortain, and King Philip were plotting to overthrow Richard. Philip was attacking his continental lands. Richard signed a 3-year truce with Saladin and started on the journey home in October 1192. In late December, he was captured by Duke Leopold in Vienna, and later turned over to the Holy Roman Emperor, Henry VI. Henry kept Richard imprisoned until February 1194. An enormous ransom was paid – 150,000 marks – and Richard finally returned to England to fight his brother’s supporters. Most capitulated quickly without violence and swore fealty to Richard, but the defenders of Nottingham Castle held out against the king’s forces for several days. With England secured, Richard returned to the continent and spent the last five years of his life fighting King Philip’s forces, unruly barons, and others persuaded to support the French. Contemporaries, including William Marshal, and more recent historians seem to reflect that Richard was winning against his enemies – he had recovered many of the lands Philip had taken. Richard turned to the southern part of his realm where Philip’s allies stirred troubles for years. He laid siege to the viscount of Limoges’ castle at Chalus-Chabrol. On March 26 he was inspecting the siege-works when one defender on the battlements, supposedly using a fry pan as a shield, loosed a crossbow bolt, which struck Richard in the shoulder. Infection set in and he died on April 6. [Statue of Richard I] by Pedro, https://flic.kr/p/7PRAs2, CC BY 2.0. Battle Scars books I – III are set against the backdrop of the reign of King Richard I. 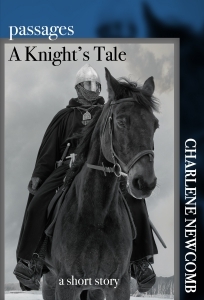 See the Lionheart through the eyes of the knights who served him. Men of the Cross takes place during the Third Crusade. For King and Country takes the knights to England to fight against Prince John’s plot to usurp the throne. And in Swords of the King, the knights fight alongside Richard to secure his dominions against the French and other enemies. The novels are available at most major online retailers. See the buy links on my books page.